The kids recently found Daddy’s stash of sunflower seeds and have become obsessed with snacking on them. While they had them out one day, I decided to turn their obsession into a bright sunflower craft, inspired by our state flower, the sunflower. We always look forward to seeing bright yellow sunflowers towering high in the fields and along roads as summer comes to end and fall begins and were excited to create our own sunflowers. 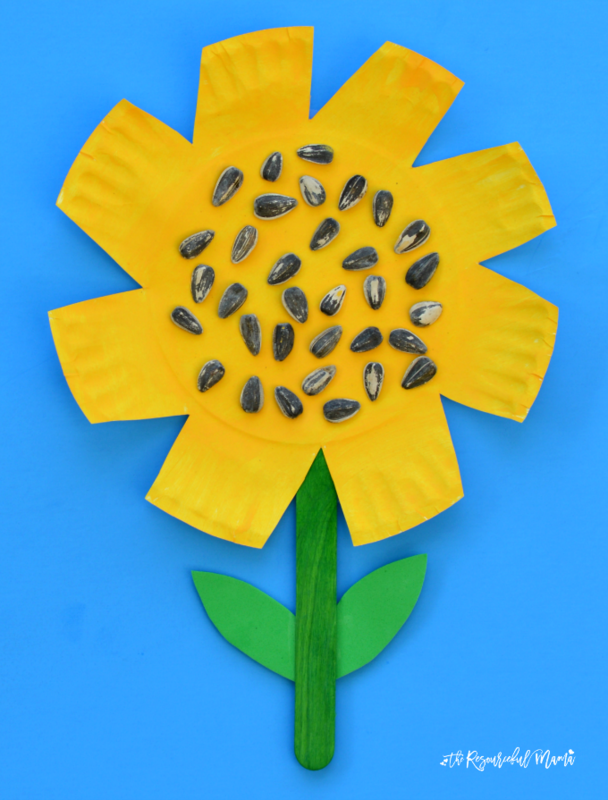 This paper plate sunflower craft offers kids an opportunity to work on scissor skills and build their fine motor skills as they cut the petals for the sunflower. We used a similar template for a paper plate flower craft in the spring and a sun craft this summer. 1. Make a small cut into the parameter of paper plates. Go back through and make another cut so that they connect and you cut out a small piece. My kindergartener was able to complete this step independently. My preschooler was able to make the first cut but needed help with the second cut to make the flower petals. 2. Paint the craft stick green and the paper plate yellow and allow to dry. 3. Once the plate has dried, glue sunflower seeds to the middle of the paper plate. 4. Cut two leaves from the green foam paper and glue to either side of the craft stick. 5. 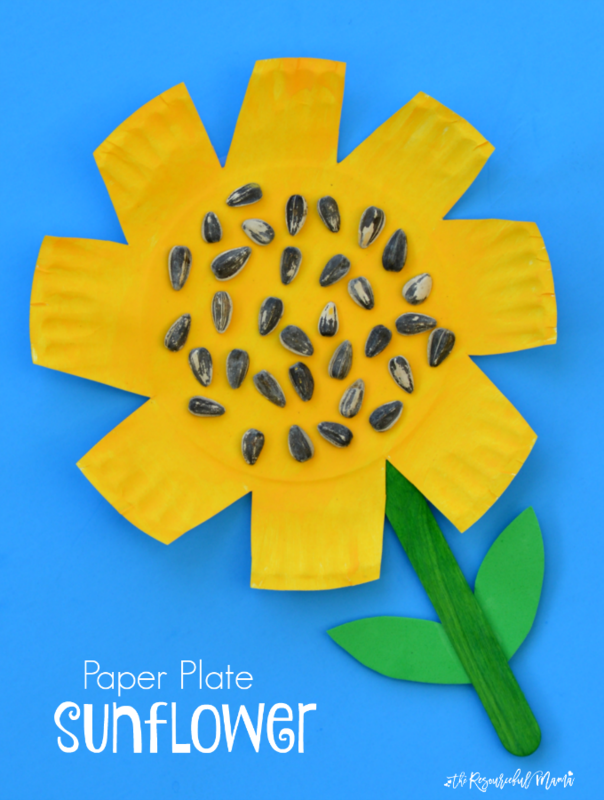 Glue the craft stick (sunflower steam) to the back of the paper plate to finish your paper plate sunflower craft. Get real sunflowers and try this Sunflower Fine Motor Activity from Teaching 2 and 3 Year Olds. Work on math skills by counting the petals with your preschooler or the sunflower seeds with your school age child. Have a discussion about the parts of a sunflower: stem, leaves, petals, and seeds. Read books about sunflowers such as Sunflower House and My Sunflower. If you have older kids, have a sunflower spitting contest.